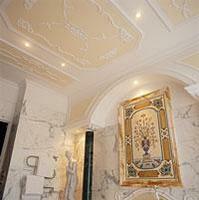 We are the UK's leading on-line specialist supplier of the finest decorative architectural mouldings, from coving and cornice to columns, corbels and ceiling roses. We aim to provide a 1st class service of a 1st class product. Whatever your requirements, we offer an extensive range of decorative coving and architectural feature mouldings which we will deliver direct to your door, usually the following day after order placed (if before 2pm). 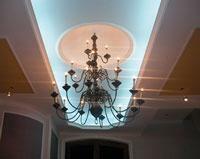 Suppliers of high quality decorative moulding features - from coving and cornice to columns corbels and ceiling roses all viewable in unique 3D format. Buy on-line for next day delivery.